Businesses talk about collaboration and teamwork all the time. I realized that in my career, the best teamwork and collaboration I experienced was in my 20’s and 30’s working in the Swedish film industry, on feature films, documentaries and with film students. Some of those teams were the highest functioning, most creative and most productive groups I’ve ever experienced. None of the businesses I’ve worked for or with have even come close to these high performing teams. So, what was it about those teams that made them such a model for collaboration? The best teams I was a part of ultimately delivered beautiful, award-winning movies. They included Agnes Cecilia, Drömprinsen, and Yrrol. The teams had a number of things in common. Common Purpose – We were hired to do one thing, for a limited time, to create a movie. Everything else was superfluous. It could, and did, wait for later. Professionalism – The film teams were on the small side, probably about 25-30 people in all. Everyone had his or her specialized role or task or role to fill. I wouldn’t say that everyone was a superstar at their position, but everyone worked hard and earned each other’s respect. Helping Hands – Because we were a small team, we also realized that we needed to help each other out, just because, sometimes, there were not enough hands or bodies to do what was needed. I, and others, ended up helping the sound technicians when they needed an extra boom or if they needed help in setting something up. The same applied to scenography and lighting (not to mention extras). We all helped each other. We actually liked helping each other as it brought us out of our own bubble. Hierarchy – There was a clear hierarchy on the team. The director, actors, cinematographers and producers were at the top. It was their film, their vision, and their names on the line. We all knew it and respected it. Dependence – The flip side of the hierarchy was that all of the people at the top knew they were utterly dependent on the rest of the team for a successful outcome. They understood the complexity of the task of making a movie. They realized that, despite their stardom, without the expertise of everyone on the team to make them look good, they couldn’t perform. When this mutual dependence was recognized and appreciated, magic happened. Responsibility – All of the above increased everyone’s feeling of responsibility. You did not want to let the others on the team down. The most impressive part of this was in management, i.e. the producers. While they had the financial responsibility to deliver the movie on time and on budget, they also had a responsibility to get the team what it needed for each shot. They took responsibility for making the working environment (which could be hellish at times) as easy and comfortable as possible, although think Swedish minimal comfort, not Hollywood comfort. They resisted the temptation to micromanage. Brother/Sisterhood – On highly functioning teams, you ended up feeling like a family. That was probably due to the fact that we spent months at a time in tight, tight proximity to each other under intense conditions. Even though I have no experience with the military, I can imagine that the conditions are similar. We worked long hours, around the same people, day after day after day. About a month into a three-month project, there was a feeling that you would take a bullet for these people. I still feel that way about many of them. Limited Time – You worked with people you had incredible bonds with, and then it might a go a year or two or three before you worked with them again. Sometime you picked things up where you left them, sometimes not. The fact that everyone knew we had a set, limited time to work together to achieve our task, the constraints on the engagement, helped the team focus and work together. You knew it was over, soon. Unexpectedness – While the tasks we performed were expected, where and how we did them was always new. Most of the team hadn’t scouted locations before. We sometimes had an idea of what we needed to do the next day, but not always a lot. We’d show up and then improvise, together. It meant we always had to be on our toes and we had to embrace an approach of experimentation. It was one of the reasons that feature film work was far more innovative than working in TV studios. Openness – The best teams had a remarkable openness toward one another. Since everyone brought their own expertise and experience, there was openness to hearing ideas from everyone in the team. Most teams did not work that way. But in these highly functional teams, it was okay to suggest improvements all the way up to the director and cinematographer level, as long as you didn’t over do it. I saw and participated in some small suggestions that ended up making huge differences in the shot. Shared Celebration – When the films won awards, the whole team participated in the celebrations, even when the awards went to individuals. There was a continual recognition that everyone participated and helped, in some small way or another, in the victories. We all felt a huge sense of pride when someone on the team won. 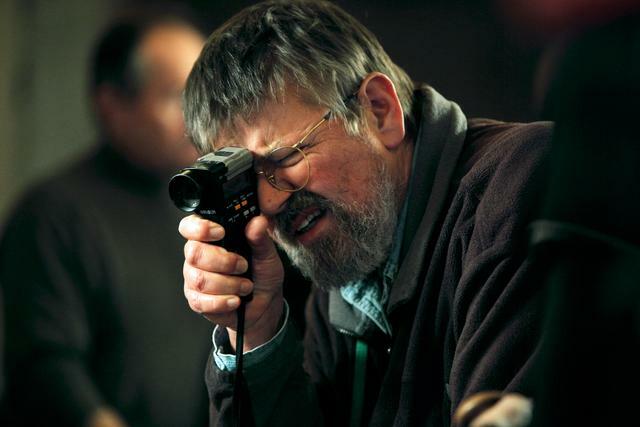 The amazing cinematographer, and good friend, Per Källberg. To be sure, all film jobs weren’t like this at all. In a business setting, even working with freelancers or virtual teams, most collaboration and teamwork doesn’t come close to these experiences. Those film teams included some of the most creative and innovative people I’ve ever had the pleasure of working with. Even if one can’t replicate that actual experience, there are lessons to be learned from them, for organizations and collaborators of all kinds.